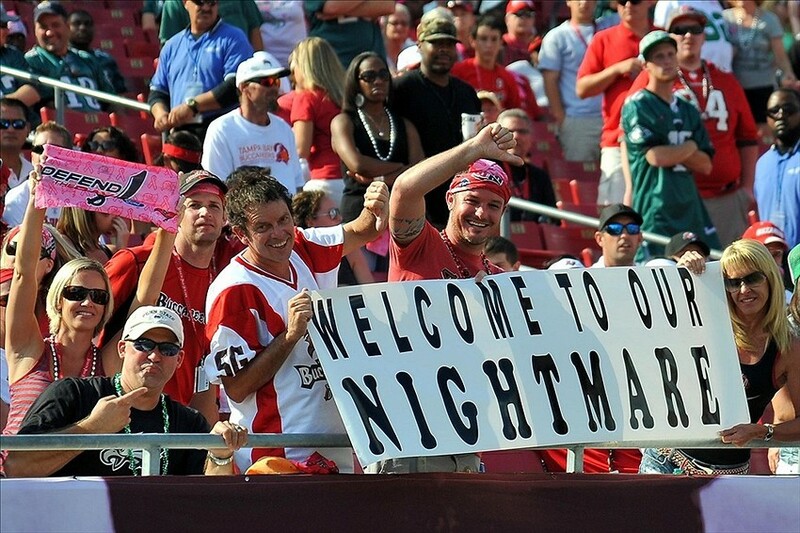 Home Tampa Bay Buccaneers Criticism or Bandwagon? Today’s league has a play now, win now, type mentality. It seems almost every quarterback that is drafted is expected to start right away and win right away. Forget taking the time to develop mechanics, read defenses, and learning how to feel the pocket. Nope, today if you play quarterback in the NFL, you better develop into a Terry Bradshaw clone, by week four. Otherwise, be prepared to be chewed up and spit out by your fan base. In fact, let’s talk about that ‘fan base’ for a second. How can you call yourself a fan if you trash talk your team when they don’t play well? Saying things like: “They should just remove the Buccaneers from the NFL.” Or “The Buccaneers are a joke of a franchise.” That is not criticism, that is bandwagon talk. Believe it or not, most fans hate that kind of negativity. Even after a tough loss. It’s a Bucs life and if you don’t like it then walk the plank. Logan Mankins happy to be here. IN JASON LICHT WE TRUST! Previous articlePut me in coach!! Next articleShould Rodgers get the start?